Dybowski, B. I. 1877. Fishes of the Amur water system. Isvest. Sibirskogo Otd. Imp. Russ. Geogr. Obsh. 8(1-2): 1-29. Baensch, H.A. and R. Riehl (1991) Aquarien atlas. Bd. 3.: Melle: Mergus, Verlag für Natur-und Heimtierkunde, Germany. 1104 p.
Berg, L.S. (1965) Freshwater fishes of the U.S.S.R. and adjacent countries. volume 3, 4th edition. : Israel Program for Scientific Translations Ltd, Jerusalem. (Russian version published 1949). Bogutskaya, N.G. (2002) Common names of Russian freshwater fishes. : Spreadsheet with cyrillic names made available for inclusion in FishBase. Unpublished. Orlova, M.I. ; Telesh, I.V. ; Berezina, N.A. ; Antsulevich, A.E. ; Maximov, A.A.; Litvinchuk, L.F. (2006). Effects of nonindigenous species on diversity and community functioning in the eastern Gulf of Finland (Baltic Sea). Helgol. Mar. Res. 60(2): 98-105. Pietsch, T.W., K. Amaoka, D.E. Stevenson, E.L. MacDonald, B.K. Urbain and J.A. López (2000) Freshwater fishes of the Kuril Islands and adjacent regions. 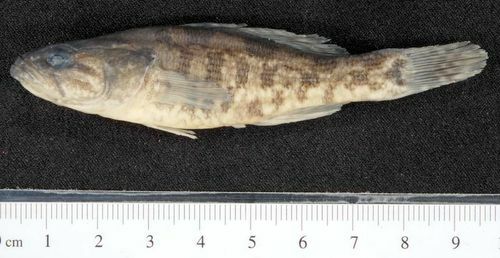 : International Kuril Island Project (IKIP), University of Washington Fish Collection, Washington, 18 p. (webpage 20 September 2000).